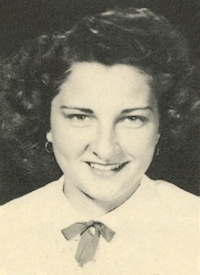 Obituary – Bruner, Delores Jean (Nemechek) « Perry High School Alumni Association, Inc.
Library Staff 48-49, Office Staff 47-50. 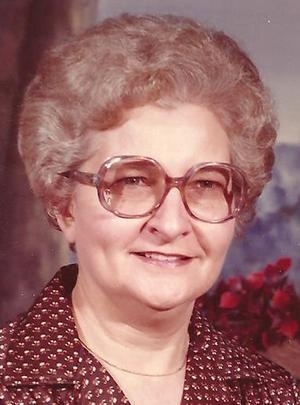 Delores Jean Bruner of Healdton, Oklahoma went home to be with the Lord early on Friday morning, May 4, 2012. Delores was born October 13, 1932, in Perry, Oklahoma, to Joe and Bessie (Vohralik) Nemechek. Delores attended school in Perry and graduated from Perry High School. She married Cecil Bruner on the first day of spring, May 20, 1953, and they enjoyed 51 years of marriage before Cecil was called to his heavenly home in 2008. As a young woman, Delores worked for Haliburton’s Department Store in Oklahoma City and for Hellman’s Department Store in Chandler. She became a full-time stay-at-home mother when her boys were born. The Bruner family moved to Healdton in 1962, where they continued to make their home until the time of their homegoings. Delores later worked at Ben Franklin’s, Armstrong Tool and Supply and Eck Drug in Healdton. Delores was a member of the First Christian Church in Healdton and a former member of the Order of the Eastern Star. Delores loved to feed the birds and plant beautiful flowers. She raised beautiful African violets and decorated her home with lots of plants she had grown. Delores was preceded in death by her parents; her husband, Cecil; two sisters, Mary Alice and Adeline; one brother, Frank. She is survived by her son, David Bruner and his wife, Pam of Midwest City, and their children Brandy and Jonathan, Stephanie and Lauren. She is also survived by her son, Larry Bruner and his wife, Virginia of Healdton, and their daughter Julie Bruner of Ada, Okla. Delores is also survived by a special niece, Paulie Gaioni of Webster Grove, Missouri,; two brothers, Ed and David of Perry, Okla.; and several great-grandchildren, relatives, and friends. Pallbearers are Weldon Corley, Pete Goodwin, Danny Campbell, David Bingman and Mark Littlechild. Honorary bearers are Henry Christian and Rusty Turnbull. In lieu of flowers, please make donations to Cross Timbers Hospice. Services will be held Tuesday, May 8, 2012, at 1 p.m. at Roberts Funeral Home Chapel in Healdton, Okla., with Jennifer Roberts, speaker, burial at Mt. Olive Cemetery.